Looking for a bit of a challenge in the kitchen? This recipe is not for the faint hearted, and takes a while to prepare, but is worth every minute. In the Asian street food flurry of 2016, Bao became a firm favourite among UK diners. And it’s easy to see why. These fluffy steamed buns are perfect for filling with sticky BBQ pulled pork, and if you’re planning to throw a party for Chinese New Year these will go down a treat. These are delicious served with a simple red cabbage and carrot slaw for a crunch, pickled cucumber for an extra zing, or simply coriander and spring onions. 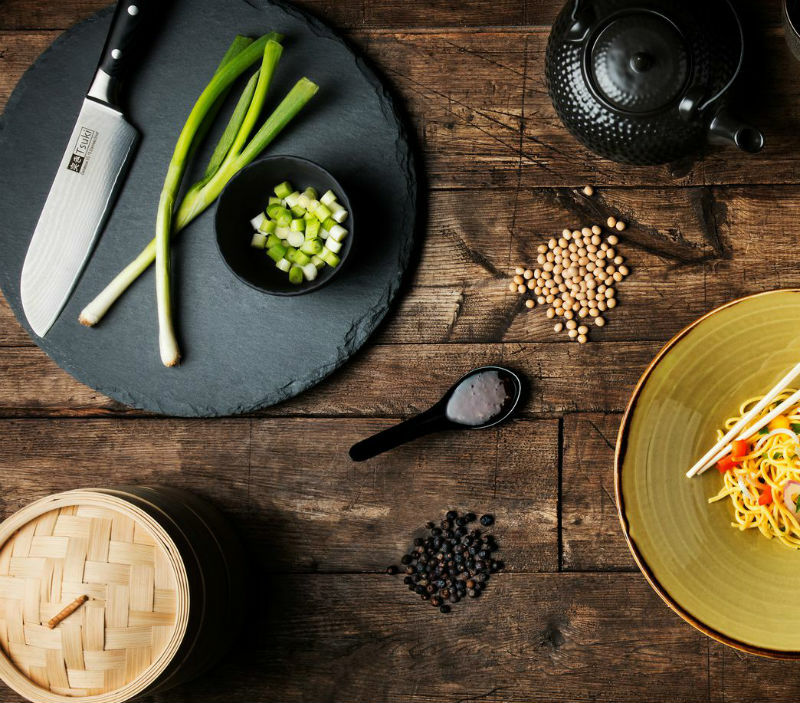 Cooked in a traditional Chinese bamboo steamer, this is the perfect way to go back to the roots of what Chinese cooking is all about. In a bowl, combine all of your ingredients, apart from the pork belly and mix together. Place your meat into a large dish and rub in the marinade. Cover with foil, place in the fridge and leave marinating for around 2 hours. Remove from the fridge and place your pork and marinade into a slow cooker on a low heat for 8 hours. Once your meat is cooked, and tender, remove from the slow cooker, cover with foil and allow to rest for around 15 minutes. Do not pour away any juices in your slow cooker. Once rested, using your meat claws, shred your pork. Put your shredded pork back into the slow cooker and stir through any excess juices that are in the pot. Your pork is now ready to serve in your bao buns. Dissolve the yeast in a tablespoon of warm water. Mix together the flour, ½ teaspoon of salt and your sugar in a bowl. Add the dissolved yeast, milk, oil, vinegar and 200ml of water to the mix. Mix into a dough, adding water if needed to get the right consistency. Sprinkle flour over your surface, and knead your dough for around 15 minutes until it becomes smooth. Lightly coat a bowl with oil and place your dough in, covering with a damp tea towel. Leave until the dough has doubled in size, which takes roughly 1 ½ hours. Clean and dry your surface. Press the dough with your hands, flattening it, then add your baking powder and knead again for around 5 minutes. Roll your dough into a long sausage shape, around 3cm thick. Then cut into pieces, each one about 3cm wide. This should give you about 20 pieces. Roll the pieces into an oval shape and fold over a lightly greased chopstick. This should give you the shape of your bao. Pop your bao onto grease proof paper with enough space between to allow for growth and cover again with damp tea towels. Leave for another hour roughly while they double in size again. Heat a pan of water large enough to fit your bamboo steamer over comfortably and bring to the boil. Place your buns in batches into the steamer, and leave for around 10 minutes until they have puffed up. Once all of your buns are cooked, slice them open ready to stuff with your pulled pork and crunchy salad. If you're looking for more recipes, we have plenty on our blog to keep you busy in the kitchen. Let us know what you think of our recipes on Facebook.